The response to reading Bloom "together" was so great, I have decided to take another go at a virtual book club. If you would like to join me (and a few others!) 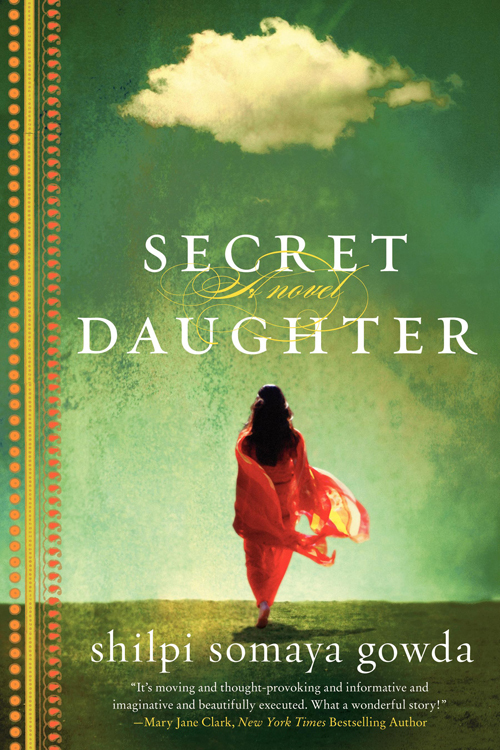 this month we are reading: Secret Daughter by Shilpi Somaya Gowda. I just started and let me tell you, it is a beautiful and gripping story. But don't comment about the book yet. Come back Thursday, August 23rd for the full debrief and to add your two cents. Not sure if you will remember? Click the button below to add book club to your calendar. Eeeee I've read this book and LOVED it. It was just so amazing and such a touching story. I'll have to re-read it before Aug. 23! As you know, I have already joined and can't put it down. No details...yet...but everybody should pick it up and read along! Anna have you started yet? It is soooo good! Hi Shannon, I'm a new reader! I read Secret Daughter a while back, but I'd love to read it again and join in on the discussion. It was such a great book. Danielle, so glad! Can't wait to have you be part of the dicussion.